How can I put avies in my signature? Username Title : The kid who's obsessed with dragons. Well, copy your image that you want, edit this size in Microsoft Word, copy AGAIN, go to Edit in Paint and click Paste. Save it, preferably in an easy to find area, then go to your profile and go to signature. Put [IMG] at the start and end of your picture's URL or file name, and the rest explains itself. Alternatively, go to Photobucket, find the picture, then click More on the pop up that comes when ypu hover your mouse over the pic. Then find the section where it says something about a code for forums, copy it, and paste into your sig. Save, like before, and HOPEFULLY it will work. If that doesn't work I'm clueless. What pikmin told u is right, why didnt it work for u? To get a image, right click it>save image as..>save into a folder you can easily get to. If you like the size it is at, skip the next paragraph. Resize it how you like, and save it again with the same name. Go on to https://www.photobucket.com, register a account, and login. Click on the "Welcome [insert name here]", then click on the big upload button. Find the file you saved and press ok. When its uploaded click back on the "Welcome [insert name here]" and find your image. Under it should be 4 links, use the IMG tag one. Right click>Properties on a image. Copy paste the location of the image. Go to profile>signature on nkhq. So, I have to put an URL to where it came from? Just give me the links to your images what you would like and i will put the codes and stuff what you need. Then you go to profile Signature copy and paste the codes into the empty box. then press save. I have to put them where they came from? They're both from Photobucket. So, what do I do after I put the URL? Make sure its a right one.. 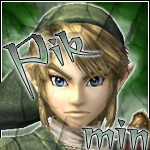 If I right click pik's avatar, a url will come up in the location. I C + V it..
Now how do I get my Chimchar, the penguin that got pwned by a little water balloon, and Totodile? I'll get the 3, but one at a time, and I want Rik to C+V them so I want to see the links. Subject: Re: How can I put avies in my signature?